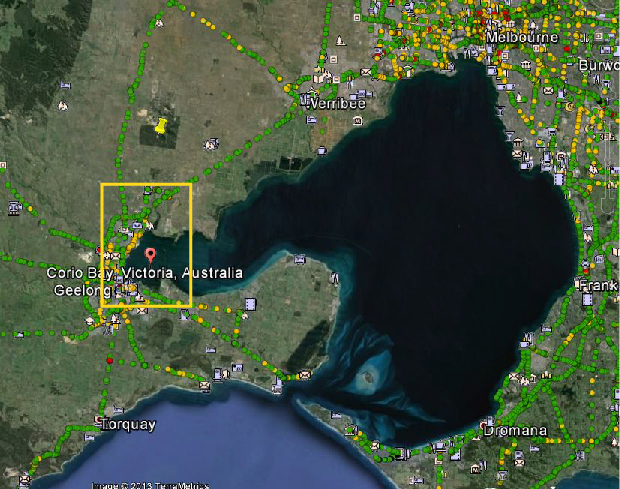 Take a virtual bike ride around Corio Bay, which is an inner bay of Port Phillip in Victoria, Australia. 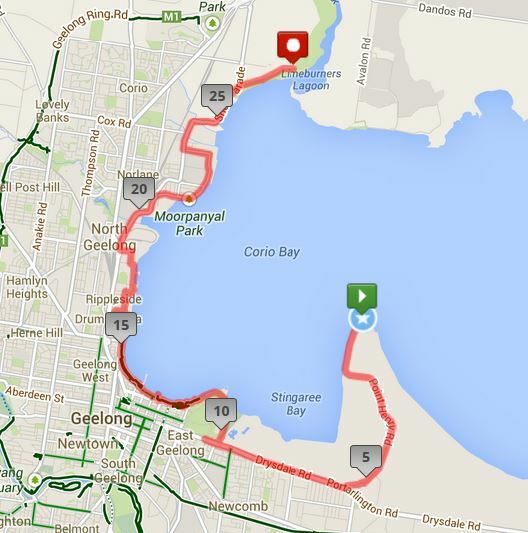 The ride starts at Point Henry in the east, moves through the Geelong waterfront, parks, the port area and finishes at Limeburner’s Lagoon. This map shows the route we will take. Click on the map for a larger view. 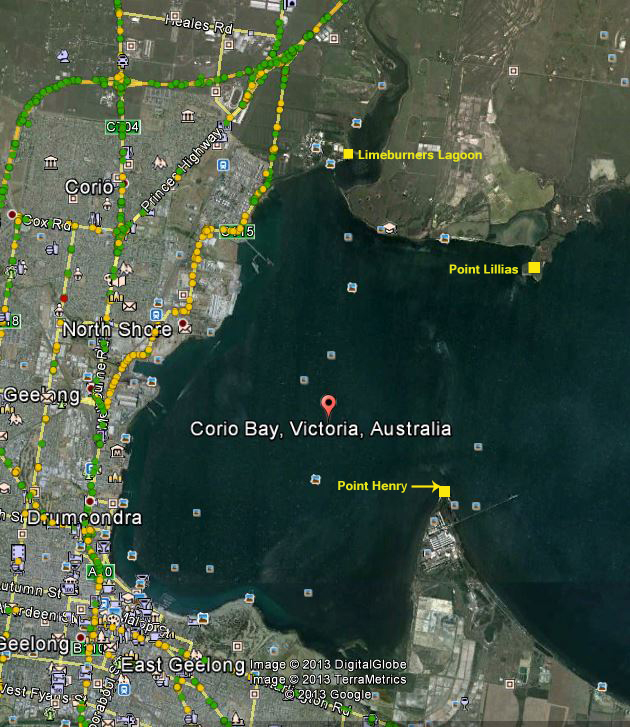 The map below shows Corio Bay’s location in relation to Port Phillip Bay. When you are ready to start the tour, or to move on at any time, click the cyclist.